Goodbye, House. Hello, Home! 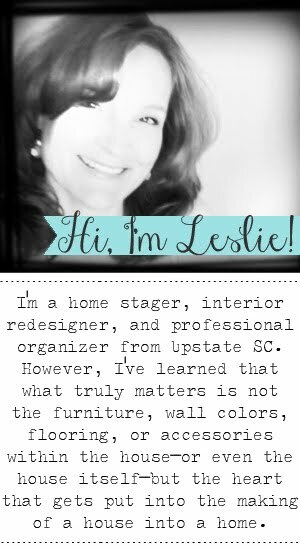 Blog : 31 Days to a Staged Home :: Day 4, What's Right With My House? 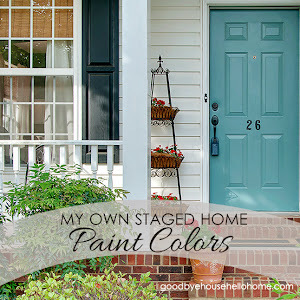 31 Days to a Staged Home :: Day 4, What's Right With My House? Every house has natural assets. These are the bonuses that you need to focus on when preparing it to list. moldy fence, beach chairs, and scattered yard furnishings? spread some pine needles, and potted a red geranium. to chat with friends and to unwind in the evenings and on weekends. So, if every house has natural assets, it's up to the seller to find their home's pros. Any feature that makes your house special needs to be highlighted. and buy a home that wasn't even in their scope. Keep this in mind as we move toward Day 5. I will teach you how to Develop Buyer's Eyes tomorrow. P.S. Don't forget that Day 31 is Q & A day. and I will compile them and address them on the 31st. I've gotten some fantastic questions already! And now it's here, all the information from all 31 days of the series, in one book. Just click on the book below to be taken to Amazon to get a copy for yourself or to share. I'm lovin' this series! We will go through the house this weekend and jot down anything that needs to be corrected. Q-If you can't afford to fix everything that needs to be fixed (replacing carpet), how do you decide what items to scratch off of your list? Also, is there a better time of year to put a house up for sale or does it depend on the local climate? (For example, here in FL we have snowbirds that come down from Oct-March). Thanks, and keep it comin'! I am soo grateful for this series! We are hoping to have our home on the market by this summer and we have a ton of work to do! I have two questions. Most of our house is carpeted, and the carpets are in terrible shape, worn and stained beyond repair. We have two young kids and a large dog. Is it better to wait until right before placing the home on the market and then replacing the flooring with whatever we can afford (so we don't have time to mess it up again!) or to offer a flooring allowance so the new buyers could choose what they want? Second, I would love some advice about how to stage a home where there are young children. Ours are 1 and 3, and I'm not sure how to make our house neutral with all their stuff. Thanks so much! What a fantastic series! Thank you for providing so much detail. We are preparing to put our house on the market next year and this is very timely. I'm wondering if my compost pile counts as something wrong with the house. It's very tidy but I'm concerned some people might think it attracts vermin. What a lovely makeover! The house looks ready and it's in top condition. Thanks for sharing the photos with us. I am loving your series. Now that the market is picking up I am seeing homes on the market in horrible shape. Are you going to talk about photos? I see so many pictures of bathrooms with the toilet lid up. Q: Is it better to leave an empty room empty or to try to put some stuff in it? I have a formal living room and formal dining room that we've used as play area/toy area for my kids so it doesn't have any adult furniture in it at all. My thought was to just take everything out and leave those rooms bare but is that a good idea? Q: Since you've surely worked with many homeowners/agents, can you advise us on how to pick a good agent? The last one we had was very self-serving and in the end we felt like she didn't look out for out best interest in her zeal to "make the sale." Q: What's the most common mistake people make when they're getting ready to show their homes (aside from the obvious need to clean up)? This is so good. We have many wonderful assets inside/outside our home. This is the one area I can do - pretty well!! What is your opinion on ForSalebyOwner and other self-selling real estate companies? Our neighbors sold their home on their own with the help of a lawyer. Too much work?? We have a converted 500 sq foot garage attached to our home (it's a family room now with a vaulted ceiling, skylights, sliding glass doors out to our front patio and a gas stove). It can still be used as garage space if the new owners should choose (we were told by the house inspector to leave it open). So the front of is still a large garage door. We don't use it this way. Any ideas on how to approach this asset? People want to give good look to their home and that can be possible by contacting to skilled designer who can suggest ideas to do good things with home. 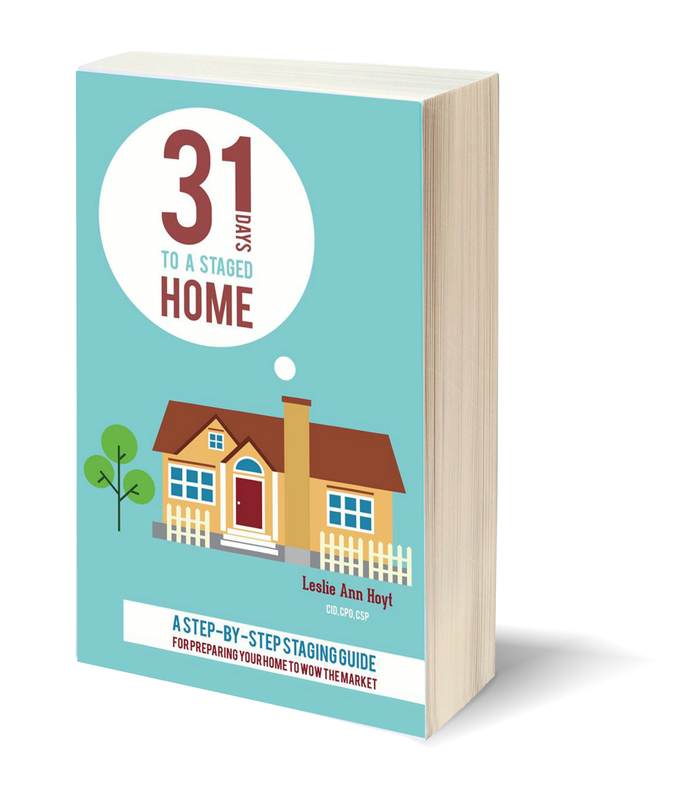 31 Days to a Staged Home :: Day 30, Now Showing! 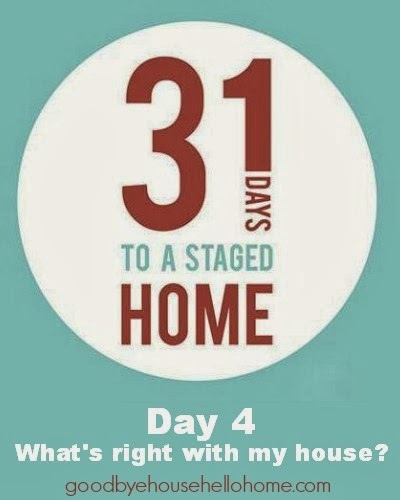 31 Days to a Staged Home :: Day 2, Why Stage?